Some products have a kind or cult following. For each manufacturer facing a crowd of satisfied clients is not only enormous joy, but also confirmation that the product is right. 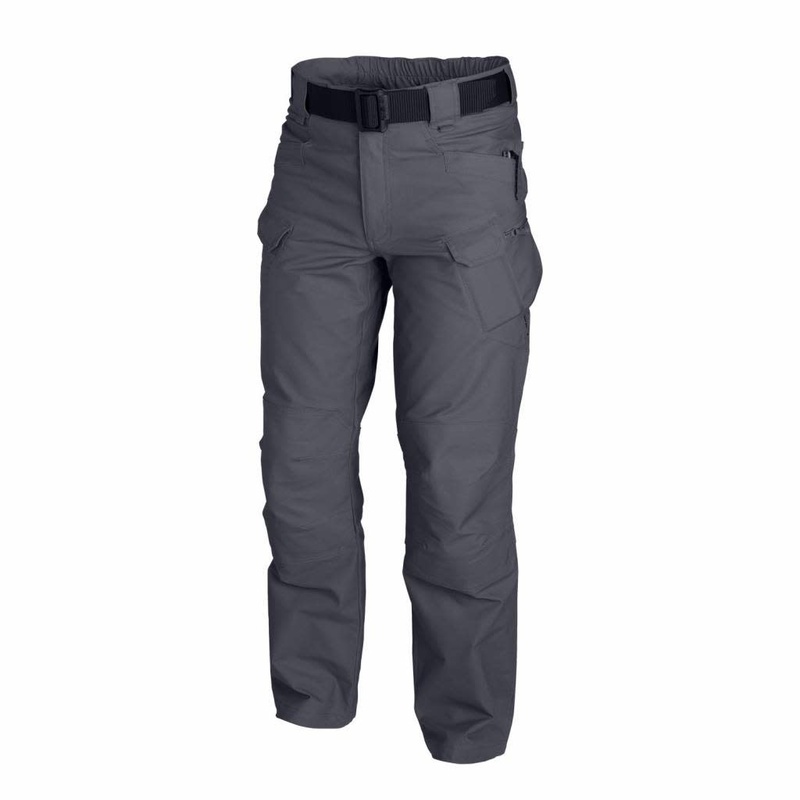 What makes Urban Tactical Pants® so special? The cut and pocket layout employed in these pants maintain civilian enough outlook to retain anonymity, while retaining full functionality of combat pants, capable of supporting tactical essentials - at the same time not colliding with human anatomy. Elastic Velcro closed belt allows easy adjustment. Wide belt loops allow as wide as 50 mm belt, including all HTX tactical belts: EDC, UTL® or Cobras®. Plus the cut employed, classical for blue jeans, reduced the tendency to ride down while in use. By judicious layout of the pockets, equipment can be placed close to the center mass, around the hips and waist. Front and rear pockets are reinforced with constant movement of light or knife clips. Two Velcro closed front pockets are big enough to carry a smartphone - or even an AR / AK rifle magazine. Thigh zippered pocket look flat - but its design allows pouches or wallets to be carried with ease. Bespoke internal pockets await being filled with Low Profile Protective Pads®. Three types of fabric plus wide variety of colors allows to match trousers to the rest or wardrobe or working conditions.